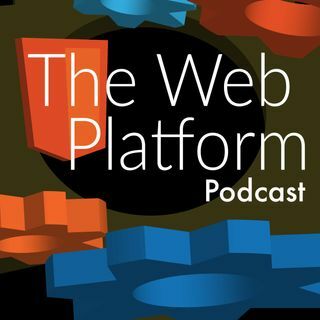 In episode 7 of the web platform podcast, ‘’Web RTC and Designing Realtime Experiences”, we talk with Agility Feat (http://agilityfeat.com/), a design and development firm in the US, Costa Rica, Nicaragua, and Honduras. Agility Feat has been not only building out real-time apps for a while now but they are also actively contributing back to the community around it as well by speaking at events, distributing a RealTime.com newsletter, and more. Web RTC is an evolving standard for realtime app development and is gaining popularity quickly in the realtime web community. More browsers are starting to implement it and Agility Feat has seen the capabilities & usefulness of Web RTC to assist in developing the user experience of realtime applications. In this episode Agilty Feat discusses how they approach designing for browsers that don’t support it and how they use Web RTC effectively in their applications. Christian Smith (@anvilhacks) and Erik Isaksen (@eisaksen) host this episode with guests Allan Naranjo (@OrangeSoftware), Mariana Lopez (@nanalq), & Arin Sime (@ArinSime) The AgilityFeat team talks with us about the user experience considerations in building realtime applications and the technologies involved. Allan Naranjo (@OrangeSoftware) is a core member of the development team at AgiltyFeat. He is a leader in creating detailed mobile experiences with heavy client side frameworks. Allan was the winner of ‘The Access Innovation Prize’ in 2012 for one of his Facebook Applications. Mariana Lopez (@nanalq) is the UX lead at AgilityFeat. She designs real-time applications for clients across a variety of industries. Mariana studied Human Computer Interaction at Carnegie Mellon University, and is also a professor of Interaction Design at the Universidad Veritas (Costa Rica) and Universidad de Costa Rica. Arin Sime (@ArinSime) is co-founder of AgilityFeat. Arin has over 16 years of experience as a developer, entrepreneur, consultant, and trainer for everything from small startups to Fortune 100′s and federal agencies.